Hello girls (and boys), I finally have a picture for my about page! I have been thinking about this and envisioning what I would like for quite a while now. And my visions came to life last Saturday when I met with the wonderfully talented photographer Catherine May Taylor and my “Ken” Jean Claude (shhh, looks left, looks right…he really likes boys). 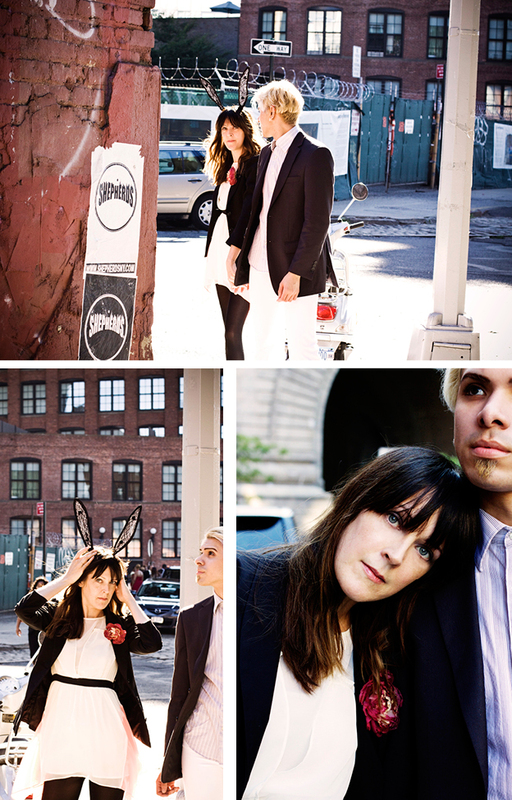 We headed to the Brooklyn neighborhood of DUMBO and had a productive and fun shoot. It was a beautiful day: sunny, not humid and the light was just perfect. I have to say I was not particularly looking forward to it as I do not like being in front of the camera, and I do not like posing. But I will let you in on a little secret, I did not hate it as much as I thought I would, and towards the end I even started to like it a bit. DUMBO is great neighborhood to shoot in because it is not super crowed like Manhattan, and the streets are bigger and more open then other Brooklyn neighborhoods. Although this shoot was for my about page I decided to share the rest of the photos from the shoot. They were just too beautiful not to share. And if you live in the NY tri-state area and need a photographer, definitely consider Catherine. I think these pictures are more then enough to see how brilliantly talented she is, but you can see more of her work on her site CatherineMayTaylor.com. And I am super excited to work with her again. All images owned by Dressing Ken and Catherine May Taylor, please do not use with out permission and or crediting and linking to DressingKen.com and CatherineMayTaylor.com. I love this shoot! Great pictures! Love the pictures and your bunny ears! Love! DUMBO looks like a fantastic area for a shoot. That mint colored wall is beautiful!! What fun photos! You look so adorable! These photos are super and you look great in them. I feel really awkward in front of the camera but look at you letting your awesome personality shine! How did you resist putting the cheeky wink as your about pic huh! Love these! You look like a lovely, chic Alice in Wonderland! These photos are awesome!! Love DUMBO! 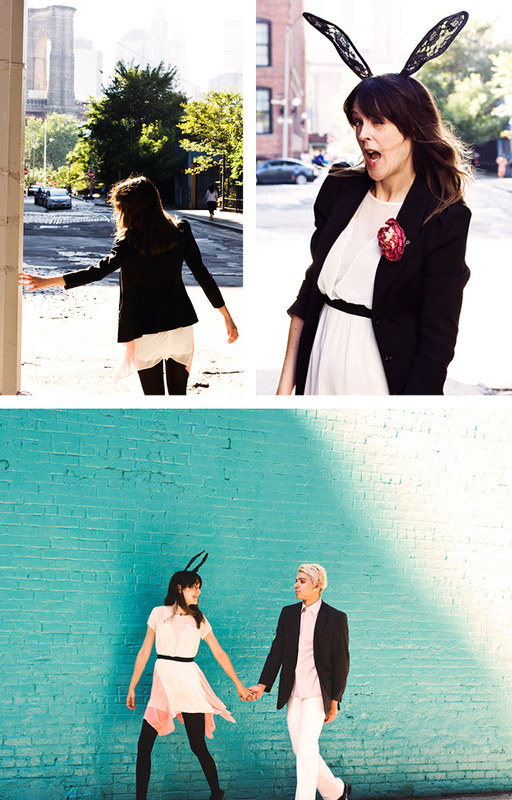 This is such an adorable shoot! Your rabbit ears are so fun! Love how you styled your dress. Great photos! Absolutely BEAUTIFUL photos and it looked like such a fun time! Loving the shoot! The aqua wall is amazing and your outfit is the coolest thing I’ve ever seen. That is exactly what I want to wear when i go out, but dang it if I have anything like it in my closet! Oh my, what a gorgeous shoot! The bunny ears are completely adorable! This shows your fun personality so much. These are so cute!! I absolutely love them. You can just see how much fun you two were having. I really love the ones with the ears. 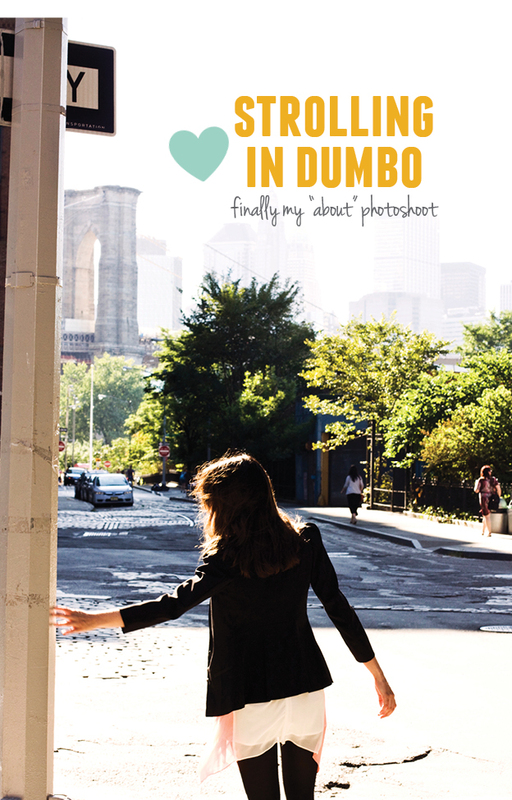 And DUMBO looks so pretty. I really need to start venturing to Brooklyn more. These photos are awesome! DUMBO is such a great little area. Love the bunny ears and your Ken for the day. I love these…so original. You look fab! You look so cute in that dress!! Great pictures! I really love these photos. Absolutely stunning. Love these outfits too. Very nice style. Beautiful photos!! You are so very pretty!! Great outfit!!! Oh so this is the shoot you had mentioned to me awhile ago. You look fabulous Alicia! I love the bunny ears and the dark tights with the light dress – fantastic contrast! Yes if we can both get our ducks in a row, we should try to hit up some shows/events together next NYFW. Fabulous photos!! They are just gorgeous and so fun!! they turned out fabulously!! it doesn’t hurt that she had a great model to work with! These are such lovely pictures!!! THe photographer did an excellent job! These are great! You look beautiful! Love these!! The concept and the location! that dress is so lovely and ethereal! Just wanted to let everyone know what I am wearing. The bunny ears I got a MACY’S two years ago for a Halloween costume. But it got snowed two years in a row! So I put them to good use here. The jacket was one of the best purchases I have ever made. I got it at H&M it was from one of their more expensive lines, it was $70.00 and a &70.00 very well spent. It is well made and looks like I could l have got it from Banana Republic . I always get compliments on it! The dress is from a company called Mustard Seed they do not seem to have a website and only sell wholesale. I picked this up at Buffalo Excahnge. And the little booties I got at Payless of all places. They too look fairly expensive but of course are not. 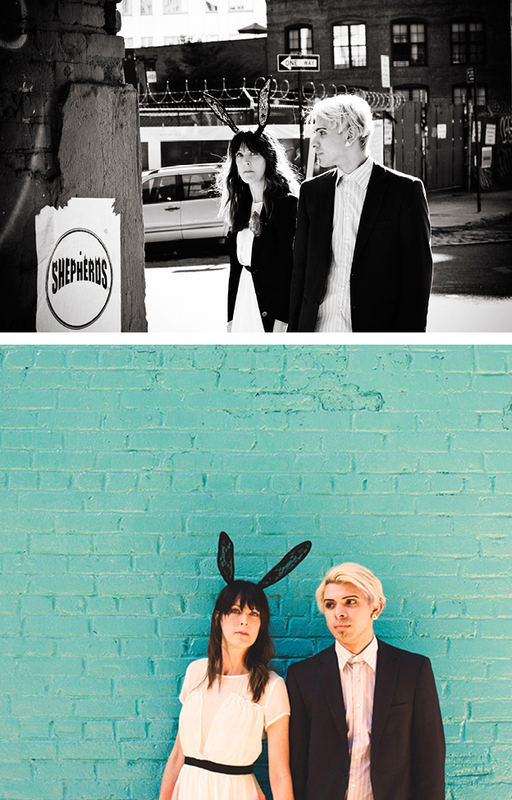 Cute bunny ears and I love your dress!You and Ken look wonderful in this photoshoot the whole concept seems so fun! Great photos! The rose pin and bunny ears were perfect accessories. 🙂 Jean Claude looks so serious. They turned out AMAZING!! They’re so fun and you can tell they uniquely represent yourself. Just darling. Congrats on your first shoot! !